Their mothers had bridge. 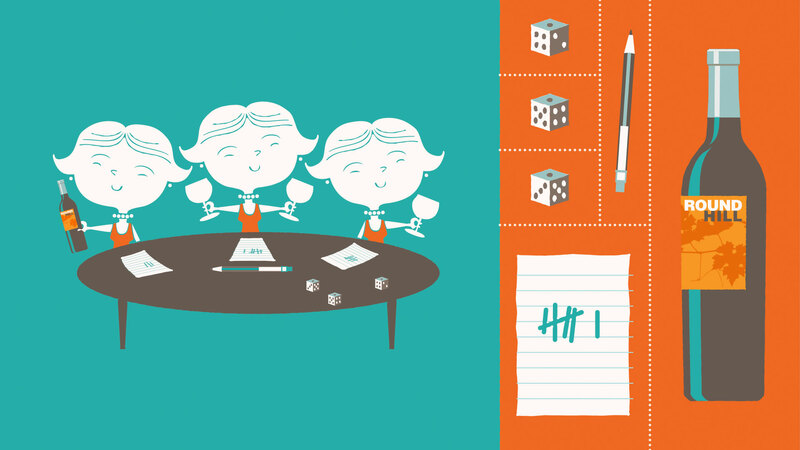 Today’s moms have a dice game called Bunco. About 21 million women play regularly, and it sometimes is referred to as the “housewife’s drinking game”. The Rutherford Wine Company saw the popularity of this game as a prime opportunity to leverage their Round Hill family of sustainably grown wines. Their hallmark quality and fruit forward wines are the perfect sippers for game night and this campaign’s mid-century inspired identity appeals to a wide range of ages. The case card, downloadable score cards, pens, and dice encourage consumers to buy a tasteful wine that is easy on the wallet.